AS Monaco manager, Thierry Henry. Thierry Henry's wait for a first win in charge of Monaco goes on in what is obviously a difficult start to life as a manager. 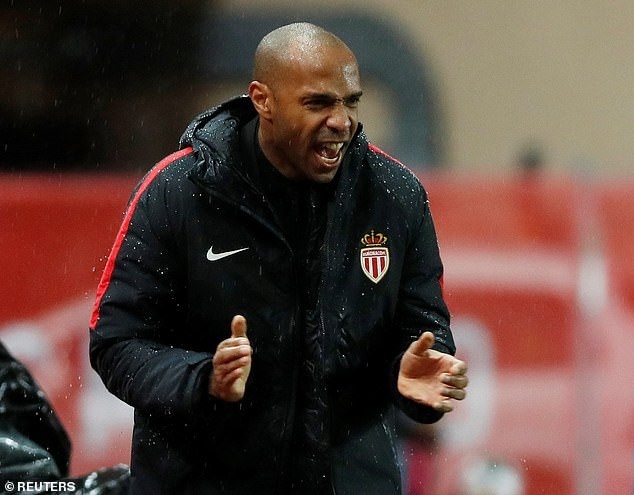 Thierry Henry's first home game as AS Monaco coach ended with a point. He has Kamil Glik to thank for this as his late header salvaged the principality outfit a 2-2 draw with Dijon FCO on Saturday. Benjamin Henrichs had put the home side into a first-half lead before goals from Mickael Alphonse and Mehdi Abeid flipped the game on its head. But Glik secured a draw for the home side with just over 10 minutes remaining. This now means Thierry Henry's wait for a first win in charge goes on in what is obviously a difficult start to life as a manager. Henry took over from Leonardo Jardim earlier in October but the former Arsenal star remains without a win after three matches in charge. Feel free to share the story.